CO Division of Child Support Services (CSS) has its online tool where parents can register, track any activity by the case and make online payments. 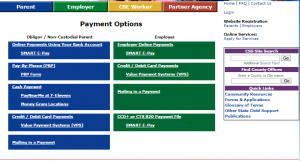 There are three ways to apply for child support, as it is mentioned on this page. III. 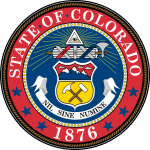 Request an Application from County Offices. 2.You can register on this page. There are two options of registration: parents and employers. User ID – choose any combination of letters and numbers up to 50 characters. All these fields are marked as mandatory. Finally, you’ll answer the question if you want to get any notifications or not. 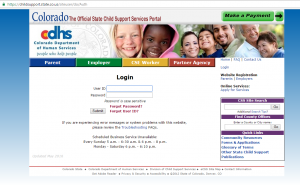 Also, it’s important that you can register on the website only if you receive or pay child support in Colorado and have a Family Support Registry (FSR) account. 3. To login your account next time you’ll use the User ID and password, defined during the registration. If you forget your User ID or password you can use the appropriate button to recover it.